Based on interviews with over thirty Irish women, this book covers their experiences during the Second World War years and how the war impacted on them in terms of their public and private roles. Themes such as class and income, employment, health and housing are covered, arising from the women’s recollections and international research into women and war. 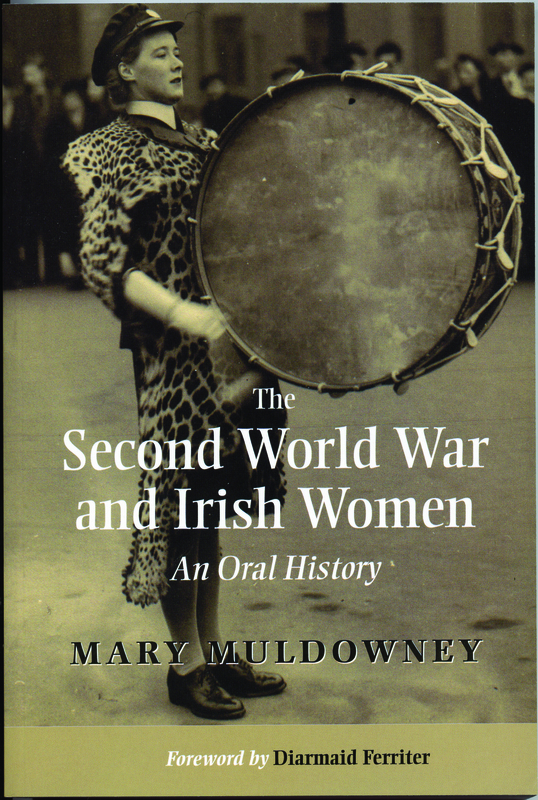 Based on interviews with over thirty Irish women, this book covers their experiences during the Second World War years and how the war impacted on them in terms of their public and private roles. Themes such as class and income, employment, health and housing are covered, arising from the women’s recollections and international research into women and war. The women, from a variety of family and social backgrounds, mainly lived and worked in Belfast and Dublin between 1939 and 1945, but some of them went to Britain to take up war work. The women’s own stories are compared with contemporary observations from a number of sources, including the Mass-Observation diary of Belfast woman, Moya Woodside. Other comparisons are made with newspaper commentaries and the files of government and other public bodies responsible for shaping social policy. The book shows that despite the many restrictions that the interviewees faced, in terms of access to education, employment opportunities and to equal treatment in a number of spheres, most of them overcame the obstacles in their way, some of which were considerable. Although the research demonstrated that in economic, political and social terms the war did not make any significant impact on Irish women, the evidence of the individuals who contributed their memories showed that it offered them opportunities to ‘spread their wings’, as one of the women described her activities. The book also compares the position of Irish women with their contemporaries in other western countries. While there has been a lot of research on the topic of women and war in other countries, no comparable work has yet been carried out here. 8. Conclusion – Plus ca change, plus c’est la meme chose? Mary Muldowney studied History and Modern English at Trinity College Dublin, where she gained her Ph.D in History in 2005.